heavy enough for any dream. 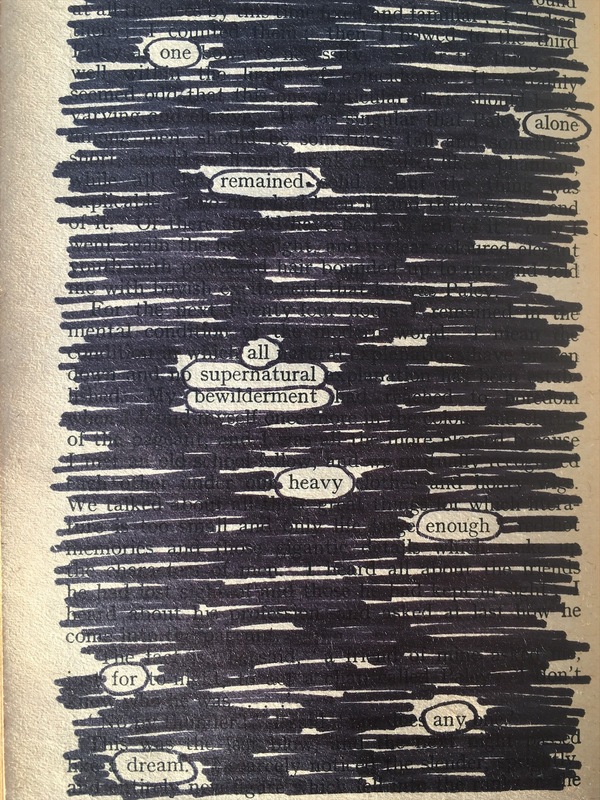 Every morning for the past few days I’ve been making weird blackout poems. I’m doing this in one of the secondhand books I bought on the weekend. This is one from a couple of days ago. This entry was posted in a book of days, poetry and tagged blackout poetry, november, poem. Bookmark the permalink.